Missing woman's family seeks closure in case. 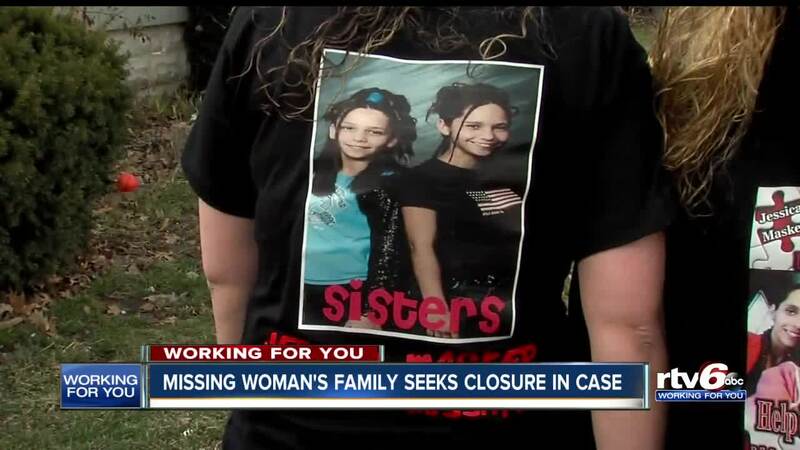 INDIANAPOLIS — Jessica Masker's missing person alert went out in April 2013. Nearly six years later, Masker's family still doesn't know what happened to her. Masker was last seen in the area of Washington Street and Dequency Street. Monday would've been her 30th birthday, and her family is not giving up on answers. "The radio would be turned up all the way, and mom would be like, 'turn it down!'" Ashley Masker said of how her sister would be celebrating her 30th birthday. "She’d be dancing!" Masker's other sister, Christina Masker, said they're not giving up on their sister. "We’re celebrating for her," she said. "We don’t know if Jessie is out there or if she’s gone." The family celebrated with balloons on Monday night. They hope that wherever she is, she can see them. Masker disappeared on April 15, 2013. A the time, detectives said it did not appear that foul play was involved. Although, her sisters are not so sure. "She wouldn’t just leave on her own," Christina Masker said. RV6 asked police for an update on the status of the case, that answer is still pending from detectives. This is what Masker's mother told the newsroom, "Cold case. They have a new detective," Cheri Edwards, Masker's mother, said. Just days before she disappeared, police reports show Masker was hospitalized when her partner violently beat her. She was also battling a drug addiction. There has been no funeral - no goodbyes. Her family's lives have been put on hold as they wait in limbo. "We know that if she is out there, that everything she’s been through for six years is not that no one should go through," Edwards said. Jessica Masker stands at 5'2, weighs about 95 pounds with brown hair and hazel eyes. If you have information on what happened to Jessica Masker, or where she may be, Metro Police want to hear from you.